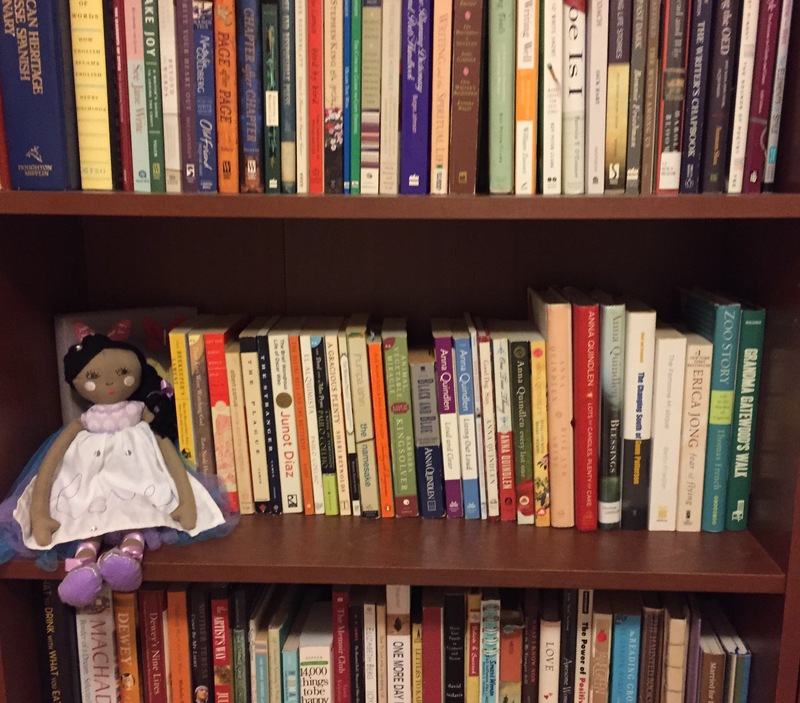 Madelyn’s nursery is full of books. Earlier this month, I bought her a doll (her first one!) and found a spot for her on one of the bookshelves. 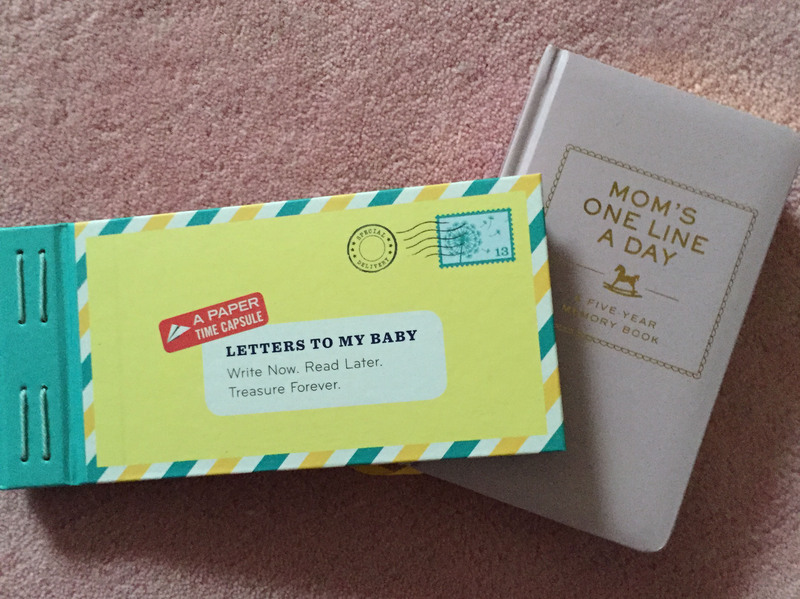 For the past nine months, I’ve been drawn to pregnancy literature of all sorts — books, newsletters, birthing class handouts, and more. Sometimes it feels like information overload, but in general, I would rather have more information than not enough. I’ve bought a lot of pregnancy and childbirth books in hopes of learning more about Madelyn’s development in the womb and what to expect when she finally arrives. Some of the books have been hard to put down. Others have struck me as too preachy, dated, or one-sided. “Pregnancy Day By Day,” edited by Maggie Blott: I bought this book just a few days after I found out I was pregnant. 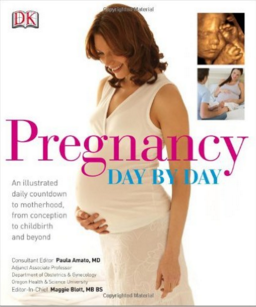 I stumbled upon it in a bookstore and was drawn to the idea of reading daily updates about my pregnancy. Every night, Troy and I take turns reading the updates, which start off with a countdown to Madelyn’s due date. (We’re down to four days!) Troy’s already familiar with a lot of information in the book because of his medical background, but we still enjoy reading it together. It’s a shared experience that I’ve come to love. “Baby Bargains,” by Denise and Alan Fields: Creating a baby registry is fun, but it can also be overwhelming. There are so many brands and products at various price points. Should you get a Boppy or a My ‘Brest’ Friend nursing pillow? A bumbo seat or a high chair? An Ergobaby or a Baby Bjorn? (I could go on and on…!) It’s hard to know which products are the best, and whether the more expensive ones are really any better than the cheaper ones. The Fields’ book, which offers reviews of thousands of baby products, was a lifesaver. A book about product reviews doesn’t sound all that compelling, but it’s a worthwhile guide that’ll save you money (and lots of headaches)! 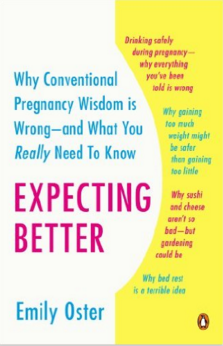 “Expecting Better,” by Emily Oster: I’ve written before about this book, which I found to be especially helpful in my first trimester. Early on, I was so worried about doing anything that could potentially harm Madelyn. I wouldn’t eat certain “off-limit foods” like soft cheeses, and I stopped doing things that relaxed me because I read about the possible side effects they could have on fetuses. This included painting my nails, taking a bath, lying on my back, using essential oils, and lighting candles. Oster, an economist, debunks a lot of the myths surrounding what women should and shouldn’t do during pregnancy. Her book helped put me at ease and made me realize that most of the “rules” you read about aren’t as black and white as they’re made out to be. (The majority of soft cheeses in the U.S., for instance, are pasteurized and perfectly fine to eat.) I didn’t follow all the information in Oster’s book, but it helped me make more informed decisions about what I did and didn’t want to do. Sometimes it just comes down to what feels right to you. “What To Expect When You’re Expecting,” by Heidi Murkoff and Sharon Mazel: I couldn’t help but buy this classic. The cliches in the book made the writer and editor in me cringe, but I found it to be a helpful guide nonetheless. It’s broken down by pregnancy months, and it’s formatted as a series of questions and answers, making it an easy read. 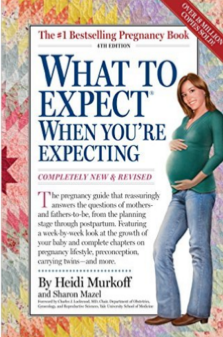 When I was trying to get pregnant, I read “What To Expect Before You’re Expecting,” and waited for the day when I could buy the follow-up. When that day came, I bought the book soon after and thought about how grateful I was to be pregnant. 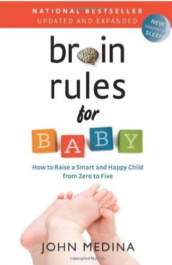 “Brain Rules for Baby,” by John Medina. This book is a fascinating read filled with scientific research and practical advice about how to provide the best environment for your baby’s brain development, inside the womb and after birth. (Here is a roundup of related tips.) Medina explains why praising your children’s efforts is better than praising their intelligence, and why self control — not IQ — is a better predictor of your child’s academic performance. Medina offers insights with a dash of humor and without sounding too didactic. I learned a lot from his research. “Ina May’s Guide to Childbirth,” by Ina May Gaskin: I’ve found this earthy-crunchy book to be a good pick-me-up whenever I’m worried about labor and delivery. I’ve heard so many stories about how painful childbirth is. One woman told me it was like a scene out of “The Exorcist.” My OB said it felt like “a knife was being stabbed” into her bladder. Others have claimed there’s “no way” you can get through the pain without an epidural. I don’t let these comments worry me too much; I know every labor is different and that a lot of factors go into it, including the size of your pelvis, the size of your baby, and the duration of your labor. Gaskin’s book features dozens of empowering stories from women who gave birth naturally and who chose to focus on the beauty of the experience rather than the pain. I’m hoping to give birth naturally, so I’ve found these women’s stories to be comforting. I know anything can happen in labor and delivery, so I’m open to an epidural or a C-section if I truly need one. I’ve told myself, though, that as long as Madelyn is ok, I’m going to try to push through the pain. I’m going to remind myself that it’s pain with a purpose and that each passing contraction means Troy and I are one step closer to meeting Madelyn. 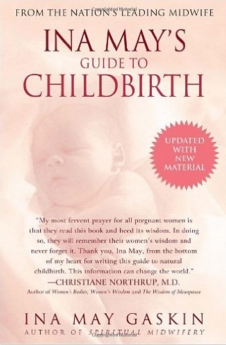 What pregnancy/childbirth/parenting books would you recommend? You can make recommendations in the comments section below. I’ve found the last few weeks of my pregnancy to be the hardest. Physically, I’m feeling pretty good. I have some aches and pains, and sleep is getting harder to come by, but I still have energy to go on walks every afternoon and work full days. I’ve found it really difficult, though, to come to terms with the fact that I don’t have any say over when Madelyn arrives. 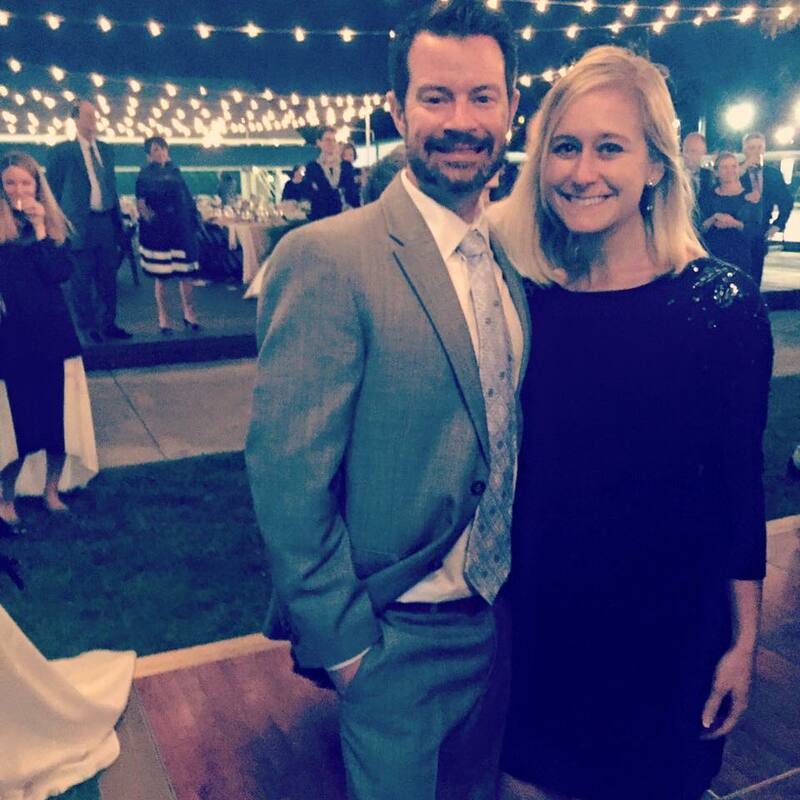 Troy and I at a wedding last weekend. At 37.5 weeks, I still managed to do a lot of dancing! Every morning, I wake up wondering, Will I go into labor today? … What will it feel like? … When will Madelyn arrive? Every cramp, every tiny change in my body, leaves me wondering if today will be the day. People like peering into the proverbial crystal ball and sharing predictions. “February babies are the best, so I think she’s going to wait until then.” … “I have a feeling you’re going to deliver early.” … “Statistically, first babies arrive late, so you won’t give birth until at least the second week of February…” Others have asked: What was your mom’s pregnancy and labor like? And when do the women in your family typically deliver? The truth is, I don’t know. My mom died when I was 11, and I never got to ask her these questions. I never got to ask my Gramz, either. Madelyn is due in exactly two weeks — on Wednesday, February 3. Only about 5% of babies are actually born on their due date, so “the big day” is more or less a guesstimate. Madelyn could be here tomorrow or three weeks from now. Three weeks is such a short amount of time, but to me it feels like an eternity. I’m a planner. I plan a lot for work and like knowing when and where big events are going to take place. I’ve done as much planning as I can leading up to Madelyn’s birth. I finished her nursery three months before her due date, and my hospital bag has been packed since early December. I’ve washed all of her clothes and organized them by size; I’ve read pregnancy books galore; I’ve taken childbirth, carseat, and infant CPR classes; I’ve created detailed plans outlining how work will get taken care of while I’m on maternity leave; and I had even found a nanny to take care of Madelyn once I return to work. My plans haven’t worked out lately, though, and I’ve been reminded that sometimes life tests our ability to figure out a Plan B, to surrender control. Surrendering control has been especially hard professionally, as I get ready to take my maternity leave. Work is such a big part of my identity. Thinking about letting go of that for 11 weeks and taking on a new identity as a mom is both exciting and scary. There’s a certain sense of loss that comes with handing over something you’ve overseen and nurtured, even if it’s a temporary hand-off. You can’t help but wonder: Will those projects and labors of love still be there when I get back? What will change while I’m gone? What will these changes mean for me once I return? Fortunately, the work will be in good hands while I’m away. It’ll get done, and what doesn’t get done can wait. I’m grateful to have nearly three months to care for Madelyn — to get to know this little being that Troy and I have created. I realize that being a mom is going to be the ultimate lesson in learning how to let go. Madelyn is going to sleep when she wants to sleep and wake up when she wants to wake up. Some nights, she’s going to start crying just as my head hits the pillow after a long day. She’s going to poop her pants and throw a tantrum right when we’re about to meet a friend for lunch, or in the middle of church. But she’s also going to make me giggly and giddy when she looks up at me and smiles. She’s going to warm my heart when her tiny hand grabs mine. She’s going to remind me that motherhood — with all of its unpredictabilities — is going to be the most rewarding and challenging role I’ll ever take on. My dad recently sent me this photo, which I had never seen before. It was taken at my Gramz’s house in the late 80s. I don’t know what Mom and I were doing, but I love how playful we look. I suspect motherhood will remind me that unplanned moments often end up being the most beautiful ones. When you try to follow a detailed schedule, you can develop preconceived notions and set yourself up for disappointment when things don’t go according to plan. Unplanned moments allow room for serendipity, laughter, and new discoveries. And they make for the best stories and life lessons. Ever since my mom died, I’ve tried to avoid unplanned moments. My mom had a long battle with breast cancer, which spread to her bone-marrow, her liver, and her brain. As a little girl, I didn’t realize how sick she really was. 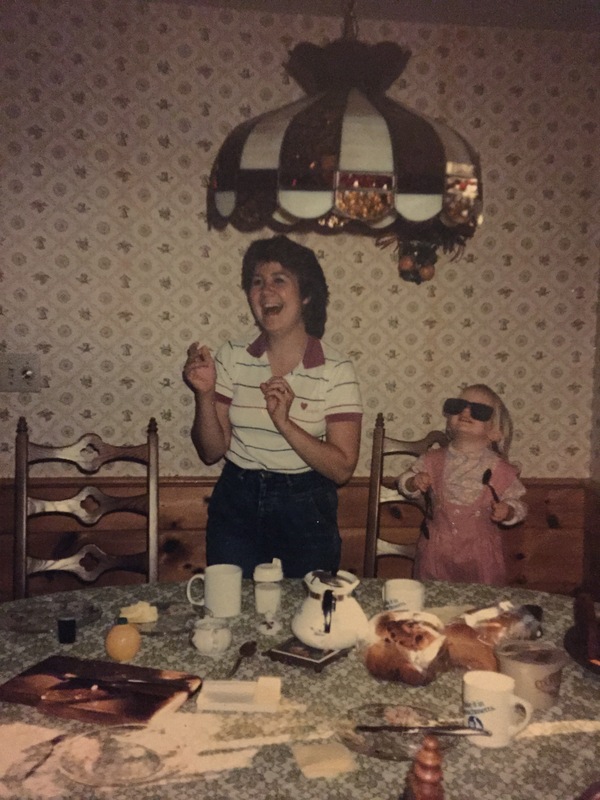 I believed what my mom and everyone else told me — that she was going to survive and everything was going to be ok. Until it wasn’t. When my mom passed away, I felt like I had lost all control. I sought it in other ways — by controlling what I ate and how much I weighed. This yearning for control led to a long struggle with anorexia and disordered eating. Ironically, the more I tried to control my food intake, the more out of control I felt. 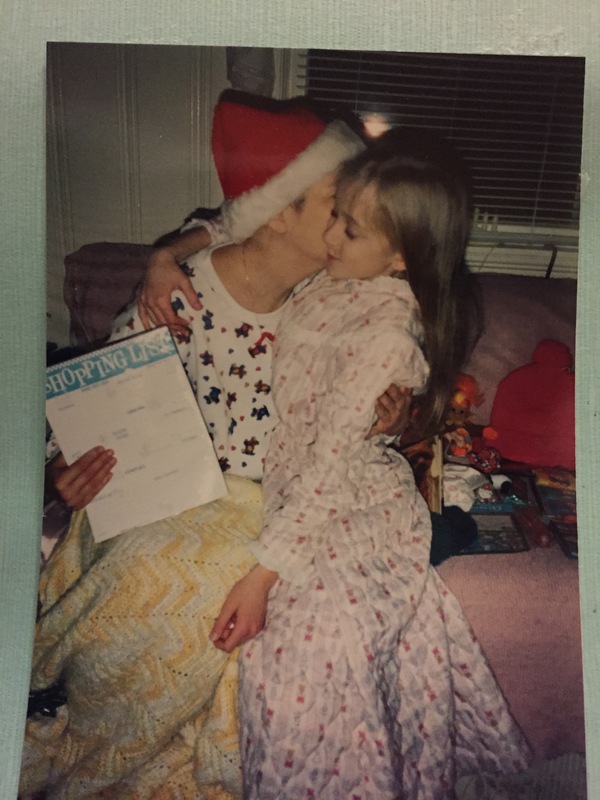 This was my mom’s last Christmas, two months before she died. She hugged me after opening a gift I gave her. I look so happy to be in her arms! Births and deaths are two life events that we can’t ever really control. We may know they’re coming, but we don’t know exactly when. As I think about my mom and my own entrance into motherhood, I can’t help but think about the fact that Madelyn’s due date is just a few days before the 19th anniversary of my mom’s death. I’ve found that when one life ends, another often emerges to help ease the pain and fill the void. Any day now, I’m going to give birth to my very own daughter, my mother’s granddaughter. When I do, I’ll remember my own mom and grandmothers — the women who made me who I am today. There’s an array of feelings that come with knowing you’re about to bring a child into this world — a tiny being who will be totally dependent on you for its care and well-being. This reality seems simultaneously real and surreal. I can’t control what day Madelyn will arrive, hard as I try. What I can do is find comfort in knowing that life will be infinitely more beautiful with her in it.